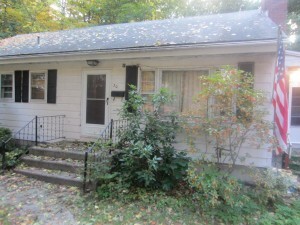 Want To Sell Your Probate House in Hartford County? Settling an estate can be a difficult task. Your loved one has passed away. You are grieving. You feel confused and overwhelmed by the entire process of selling your probate house. You want the process to be over. Yet, letting go is very difficult. If you are the Executor or Administrator, the prospect of settling an estate can be a very daunting task. It is very emotional time for everyone involved. If there is any property in the estate, just getting the property ready for sale can be an enormous job. You may not be in position to make the repairs needed to list this property. Perhaps you just don’t have the time or the money to invest. You just want to sell your probate house “as is” and be done. This is one of our areas of expertise. We buy probate houses in Hartford County and surrounding areas “as is”, pay all cash and offer a hassle free closing so you and your loved ones can move on with your lives. In most cases, you will need a probate attorney to help you work through the complexity involved with settling an estate. Here’s one of the advantages of working with us: Our closing attorneys know all of the ins and outs of probate in Connecticut. They are real estate experts and we work with them on all of our closings. Family members sometimes spend months going through anything of value (especially things of sentimental value or important paperwork). Executors and family members often get so overwhelmemed, the just close the door and walk away. Finishing this job is just something they can’t do. You Don’t Have To Do It! We Will Do It For You. Cleaning out the house is something that we will do for you. That’s right; as part of our offer we will finish the job for you. You can take everything you want, and we will take care of the rest of it. No need to worry. Once we have reached an agreement to buy your property, we will help you determine what needs to be done to sell the property. Together we will get everything finished so you can move forward. If that involves removing the rest of the belonging s from the house, we will do that. Is there furniture or old cars that can be donated, we will take care of it. If the house need repairs and updating, you can just walk away and we will take care of everything. If you are unsure what paperwork still needs to be completed to close out the estate, we will get the answer for you. Contact Us Today. You have options that could help you settle an estate seamlessly. Fill out the quick form below and we’ll set up a free consultation with you.